If you spot a pothole, a sunken drain, overgrown vegetation, damaged kerbs or another problem anywhere in West Sussex that you think is a danger to road or footpath users, then it’s very easy to report it directly to West Sussex County Council via www.love.westsussex.gov.uk. Just click on the ‘Add report’ option and follow the steps, including as much detail as possible so they can pin point exactly where the problem is. Of course you can also email parishclerk@easebourne.org if it’s something specifically within Easebourne. 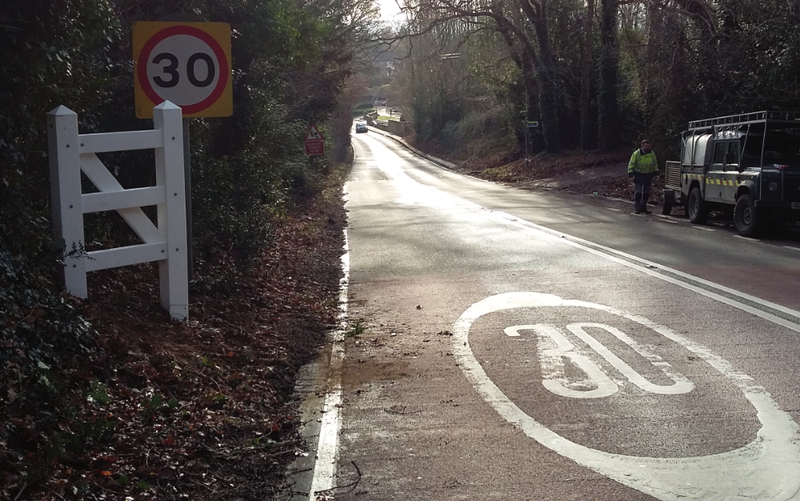 The A286 will be closed from Kings Drive to Henley between 9.30am to 3.30pm each day from Monday 27 February until Friday 3 March. Please look at West Sussex’s website for further information. 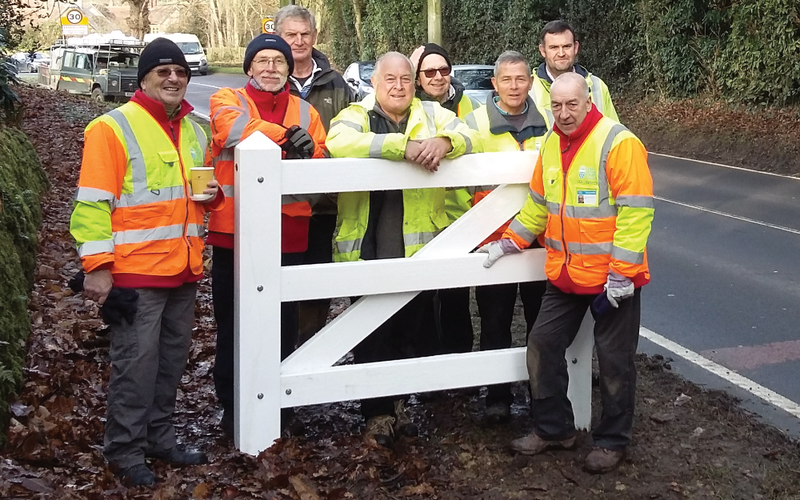 Mike Noble, the head of the Parish Council’s highways committee met up with a band of volunteers from West Sussex County Council as well as a volunteer from the village and a parish council volunteer to dig holes and install the village gates. The gates were funded through the New Homes Bonus and thanks to the hardy volunteers who turned up on a frosty morning there were no labour costs. 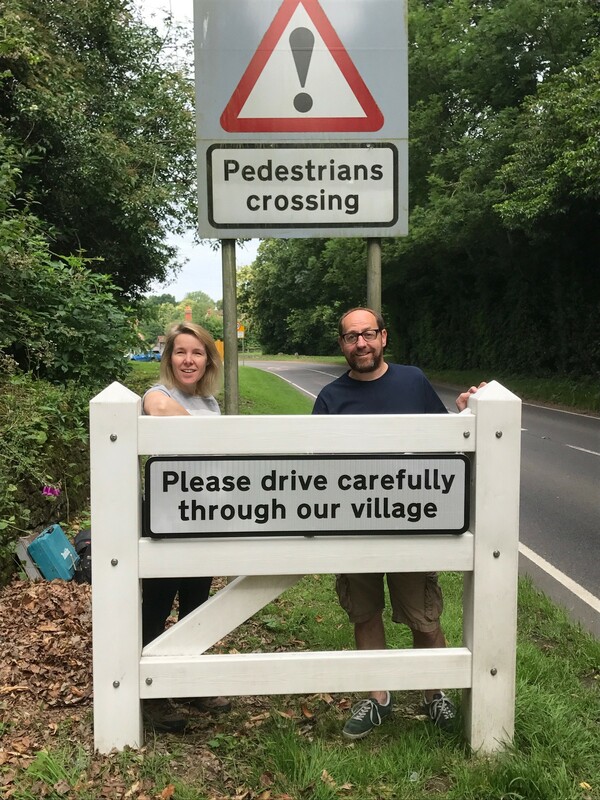 The gates have been installed on the A286 village entrance as well as the A272 entrance and will hopefully act as a reminder to drivers that they are entering a village and encourage drivers to slow down. A great example of what can be achieved through volunteering whether on the Parish Council or otherwise. Thank you to all involved. The next village volunteer project is the burial ground tidy up on 14 January and if you are interested in joining the list of volunteers for this project please contact the parish clerk.